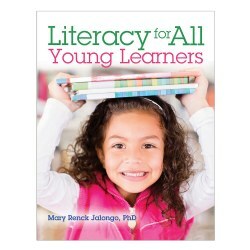 Kaplan's large collection of over 200 materials dedicated to literacy and language will help students develop their reading, writing, and critical thinking skills. 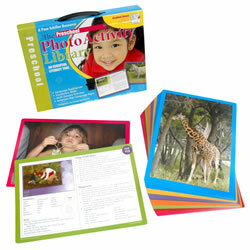 Materials include resource books, posters, bookmarks, workbooks, CDs, activity kits, and more. 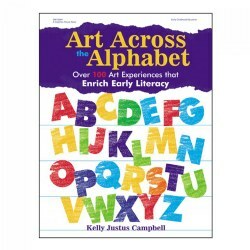 This book addresses the features of emergent literacy and the strategies that teachers can use to help infants and toddlers begin to acquire these skills. 224 pages. 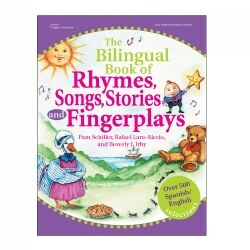 Over 450 rhymes, songs, stories, and fingerplays with Spanish and English on each page to help build vocabulary and language skills. Organized by theme. 384 pages. 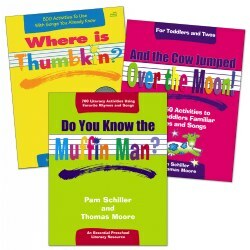 Any teacher who wants to add literacy and music into their daily schedules with ease will love these books with over 750 activities. Related activities span the curriculum to other areas including math, art, and gross motor. Available separately or in a set of three. Create readers while creating art! 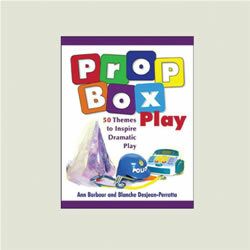 Contains activities that reinforce letter recognition and pre-reading skills. 160 pages. Children decide everyday to pretend to have a tea party, be a firefighter, open a pet store - all of these are opportunities to increase pre-reading skills. 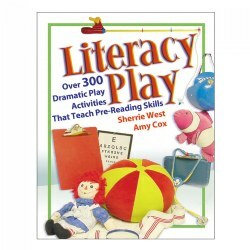 Literacy Play is packed with over 185 dramatic play activities that teach important pre-reading skills while bringing children's imaginations to life. Paperback 320 pages. 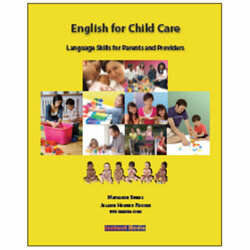 "English for Child Care" encompasses language skills for parents and providers. 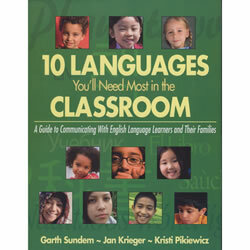 The comprehensive text is designed to meet the language requirements of adults who care for children. 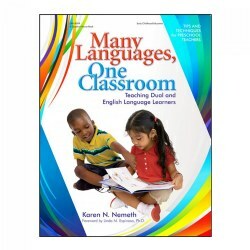 This book provides practice for high-beginning to low-intermediate language learners in reading, writing, listening, speaking, pronunciation, vocabulary, and grammar. 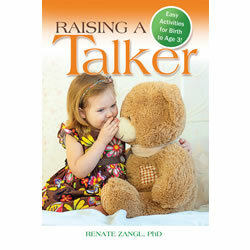 The textbook can be used as the core resource in a language development class for child caregivers and parents. Includes a CD. 3 years & up. 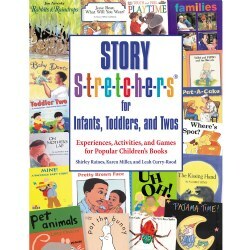 Builds literacy, sequential storytelling, and abstract thinking abilities, while helping fulfill early learning standards. 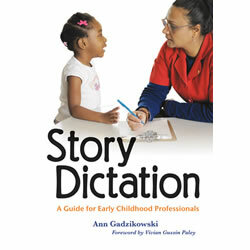 This book will identify basics of story dictation, including when and how to do it; how to use it to assess and document language and social development; and the most common subjects of children's stories and what they may represent. 144 pages. Grades 3 - 5. Reproducible activities cover core math skills at three ability levels: basic, intermediate, and challenging. 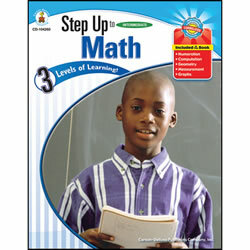 Topics include numeration, computation, geometry, measurement, and graphs. Motivate students by offering multiple approaches to content, instruction, and assessment. Supports NCTM standards. 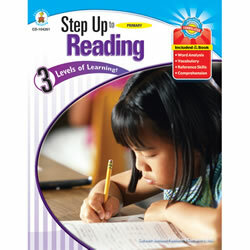 Reproducible activity sheets cover core reading skills at three ability levels: basic, intermediate, and challenging. 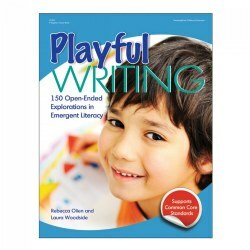 Topics include word analysis, vocabulary, reference skills, and comprehension. Motivate students by offering multiple approaches to content, instruction, and assessment. Supports NCTE standards. 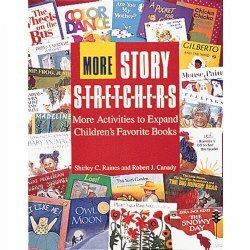 Energize your classroom with lively literacy lessons based on more than 70 popular children's books. 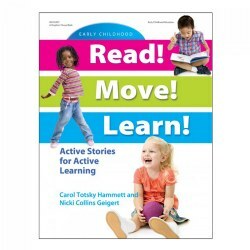 Includes over 150 activities, theme connections, lesson objectives, vocabulary list, concept list, and related music for hours of fun. 232 pages. This publication is actually two books on two hot topics. 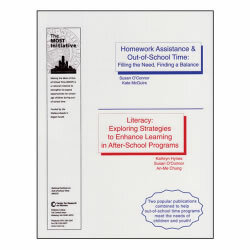 The homework publication covers issues such as research on homework, the variety of program approaches and methods of training staff members for successful homework assistance. 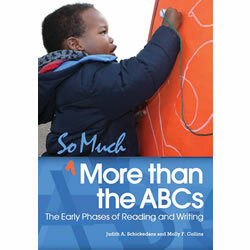 The literacy book assists after-school providers in introducing and integrating literacy into their program. 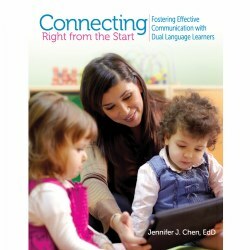 Issues covered include children with learning disabilities and those whose first language is not English. Paperback. 96 pages. Grades 1 - 3. Written in the first person and from a point of view the reader can trust, the My Country Series presents basic information in a way young readers can understand. Travel to exciting places around the world without leaving your classroom. This book introduces readers to a child, who lives in that country. Describes each country's school, food, and family life. Includes a fast facts page with information on the geography of the country, as well as it's population and religion. Paperback. Grades 1 - 5. 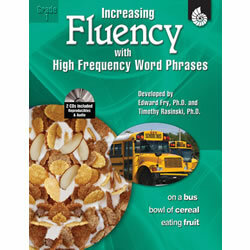 This set of books brings together Dr. Rasinski's reasearch on phrasing as a way to increase reading fluency and Dr. Fry's research on the most common words found in materials that students read at school. The series presents Fry's Instant Words, by grade level, incorporated into phrases. 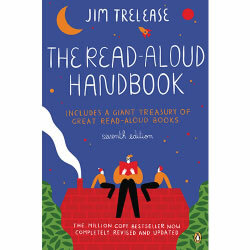 The phrases are then embedded into interesting texts which are practiced to increase reading fluency.